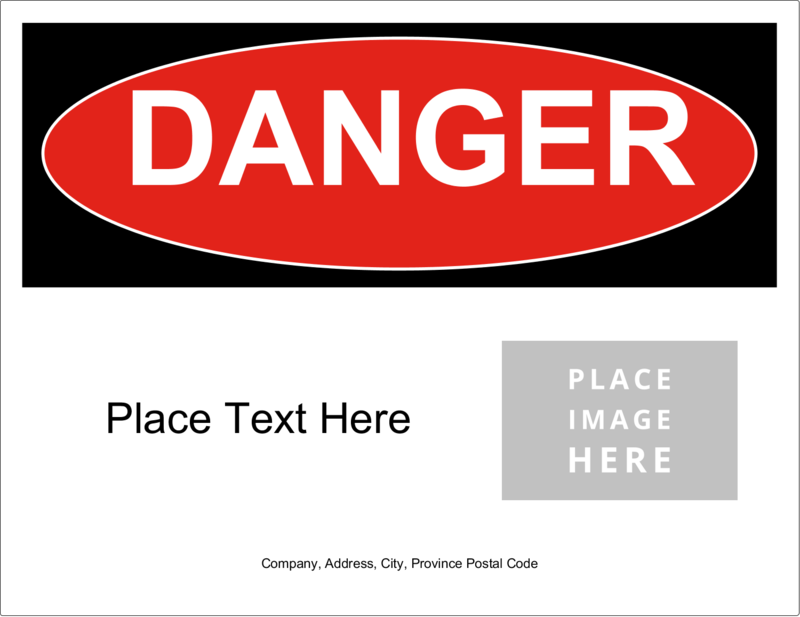 for Laser Printers, 8½" x 11"
Ensure your organization’s chemical labeling is in compliance with the Globally Harmonized System (GHS). 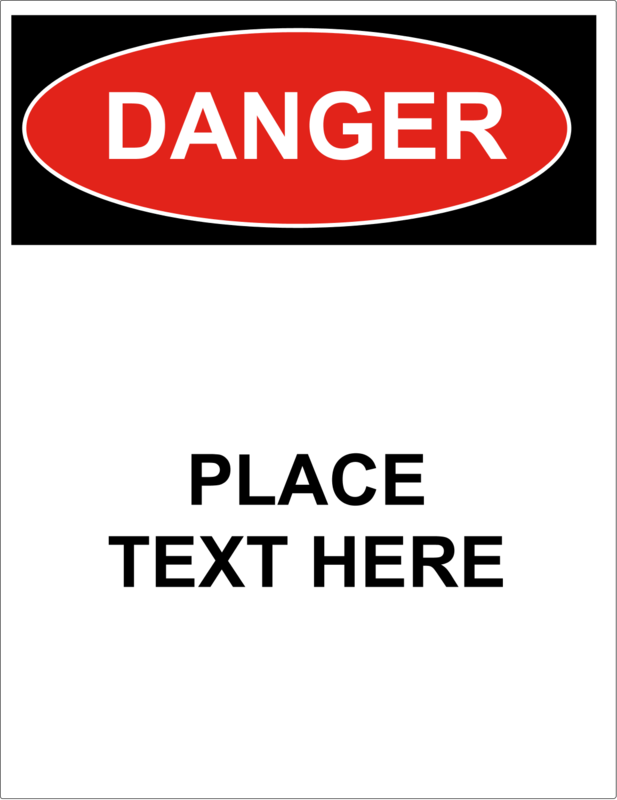 Avery® UltraDuty™ GHS Chemical Labels are specifically designed to withstand chemicals, abrasion, sun, water and extreme temperatures. They resist tearing and scuffing, and stand up to frequent use. With high-performance adhesive, the durable labels pass the BS5609 protocol for 90-day seawater immersion. Ideal for labeling drums, pails, totes and more. 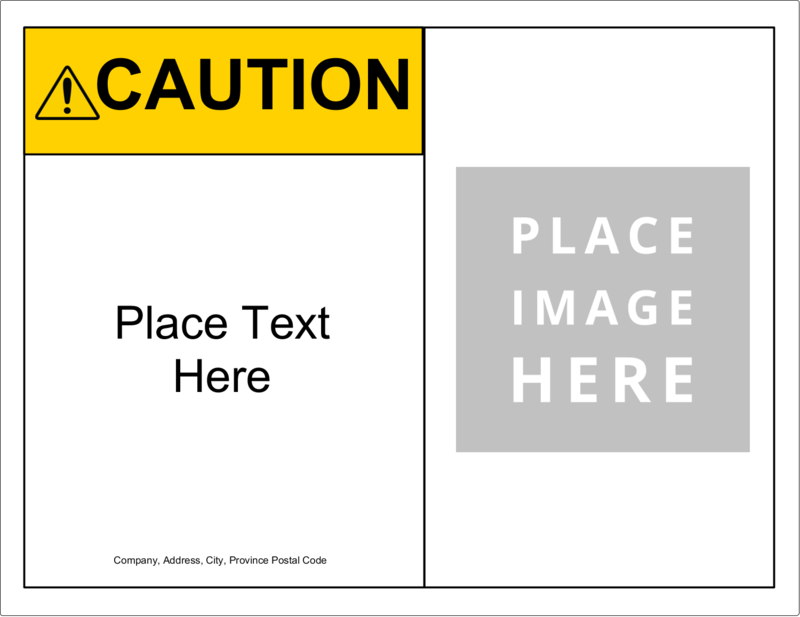 Easily customize and print your required labels on demand using free Avery® Design & Print Online software. 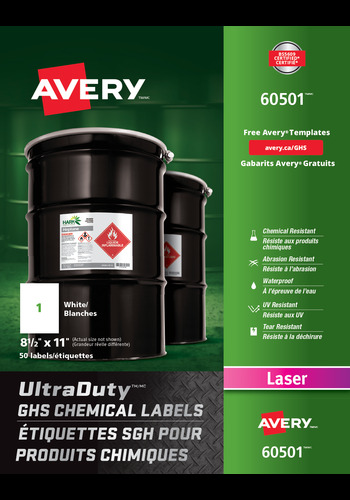 Take advantage of our ready-to-use free templates, or design your GHS labels step-by-step with the Avery® GHS Wizard. 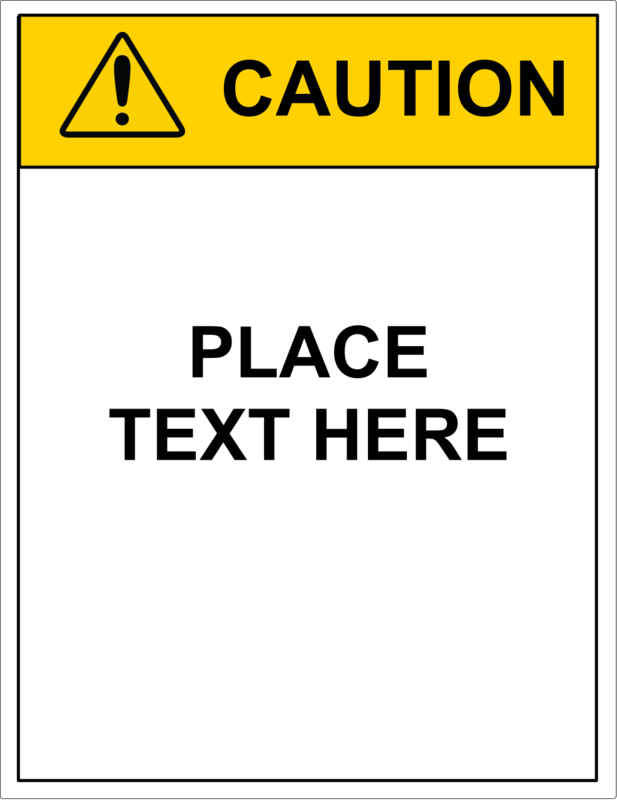 Labels can be printed using standard sheet-fed laser printers. 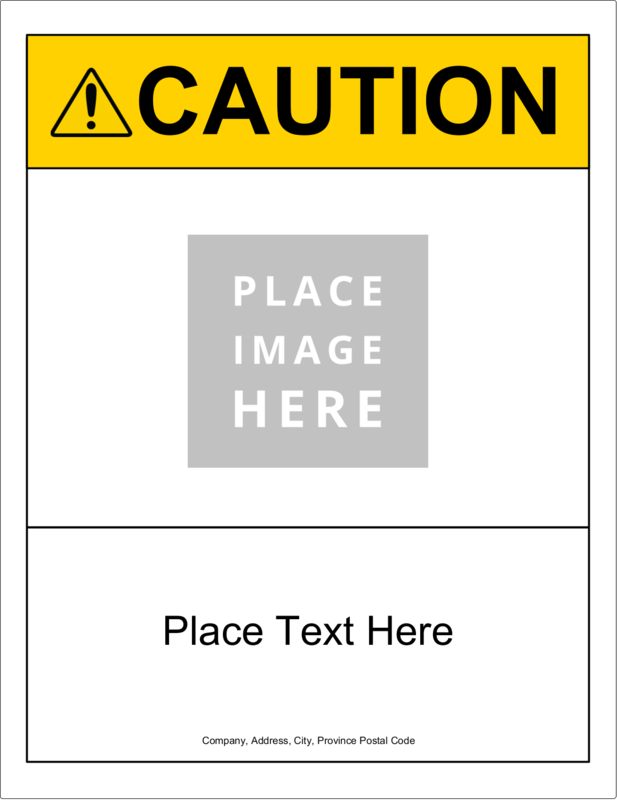 Customize labels with your company logo, lot numbers, barcodes or other information, and update as needed. Exactly what we wanted! My daughter decided to create bath products to sell at Christmas and we needed them somewhat water proof. All other water resistant ones did not fit our need exactly and the non waterproof ones we would have needed to buy 4 packs. So for basically the same price, I created all my labels in Avery printed them at home, adding more labels to the page to maximize the products then took them to a local printer for printing on a laser printer. They were perfect and though a bit pricey up front, compared to a print shop which quoted us $0.50 a sticker we printed a whole sheet for less than $2.00 a sheet. I got around 12 labels (or more) per sheet so about $0.16 per sticker.